Helping, Healing, & Saving Lives! For centuries, humans have understood the value of animals, not only as companions and entertainers and sporting participants, but as working partners that contribute more muscle, endurance and sensory capacity to wide areas of endeavor. Across the globe, people and animals work together to provide transportation, labor, guidance and assistance, safety and rescue, therapy, recreation and entertainment. The relationship between people and the animals that helps us in so many ways is a profound one, based on mutual affection, dependence and appreciation. When we team up with animals, the results can be truly amazing. In this section, you’ll encounter many of our animal partners, and discover how their willingness to associate with us makes our lives easier, safer, and more fun. When you think of animals in entertainment, what comes to mind? Mr. Ed or Lassie? Rin Tin Tin or Toto? Hooch the police dog? Elephants, lions and tigers and trained seals at the circus? What about racing greyhounds, galloping horses, wiener dog sprints or barrel racers or bucking broncos and bulls? There is a difference drawn in this review between animals in entertainment and animals in sports: entertainment animals are performers - animal actors and actresses with roles to play in scripted or practiced performances that entertain crowds or movie or TV viewers; or their performance consists of being on exhibit without scripting (think “zoo”) or in competition with any other animal or measured standard. Animals in sports are performers, too, in many ways, but are involved in competitive events or exercises for rewards and/or spectator pleasure. Animals in sports have no prearranged or defined finis for their work: it’s a contest of one sort or another without a predictable ending. The rider stays on the horse or bull or gets bucked off; the fastest greyhound or horse wins; the best polo pony helps the rider and team win, the best sheep or goat or dog or chicken is chosen at county fairs or competitive conformation events. Animals in entertainment, on the other hand, are in natural exhibits or have an introduction, a series of practiced movements or responses to cues that fit with a planned act designed to tell a story or amaze or entertain an audience. Their actions at the beginning, middle and end are known, rehearsed and performed to varying degrees of success: the best wind up as circus, stage, movie or TV stars with fame that rivals the best of their human counterparts. Their training demands extensive efforts, keen attention, insight, specific animal knowledge and talented trainers willing to spend endless hours and days in patient practice sessions. Sports animals require the same degree of attention to training and care, but their goal is competitive success at a specific event. Entertainment animals have a goal of completing a routine individually, without head-to-head competition against anyone or anything. Mindful of these distinctions, what kinds of animals are animals in entertainment? There are some crossovers, as horses perform on race tracks and rodeos as well as at circus events or in the movies (think of Mr. Ed or Black Beauty or Roy Rogers’ Trigger; the Lone Ranger’s Silver or the Black Stallion). Dogs, cats and other animals also cross over, but this first section of animals in entertainment deals with those that perform in scripted fashion for audience appreciation, or those that live without scripts in exhibition settings for viewer education. So this group includes dogs, cats, birds, horses, mules, porpoises, orcas, bears, pigs, chimpanzees, orangutans, lions, tigers, elephants, wild animals in zoos…..where to start? One of the earliest blockbuster animal movie stars was King Kong, who in his 1933 movie climbed atop the Empire State building and fought attacking planes. But wait! King Kong was a 40’ silver screen gorilla model that actually was only about 2’ tall and made of cloth and rabbit fur. No, not an animal in entertainment, but one of the earliest success stories that confirmed the entertainment industry suspicion that animals could become big ticket items in movies. A fake gorilla could do just about anything, but what kind of attention could be garnered if you used the real thing? Despite all the jokes and riddles, Lassie never did rescue Timmie from falling down a well. No Lassie episode carried this as a plot line. Well, the path to King Kong had been paved by animals like Tige, the Buster Brown dog, who started in a movie with Harold Lloyd in 1925, moved to the Tige role and in 1927 starred (and was the 2nd highest paid actor on the set) as Pal in the Little Rascals series. Tige/Pal was a pit bull type dog that was a family pet turned movie star. He didn’t have the fantastic script that King Kong had, but he set the stage for pro-style animal acting that later took the country by storm, starting with the 1943 movie classic Lassie Come Home, which continued in the 20-year Lassie TV series and all the Lassie re-makes and Lassie appearances that followed on at least as late as 1994. Lassie was a male, not a female in each series of shows from the original Lassie I through the contemporary Lassie X. The original Lassie was the property of Rudd and Frank Weatherwax, who owned a kennel and trained dogs and who were also frequently tapped for animal movie talent. Rudd and his son Bob became training partners, working with movie studios well into the 2000’s. Their dog stars included Asta in the Thin Man series and Old Yeller himself. Once Lassie Come Home was made, the dog as a movie personality took off. Careful breeding and successor dogs filled the talent need for years after. 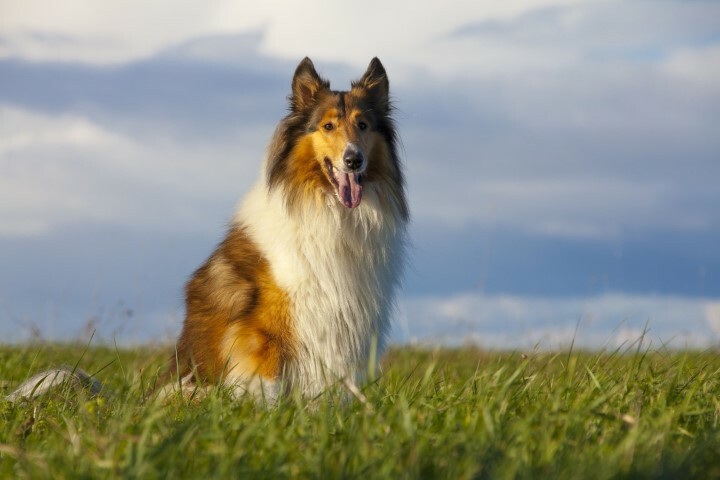 Today there are two tenth versions of Lassie; the official one affiliated with Dream Works and handled by Carol Riggins and one owned by Bob Weatherwax; both are still popular and active in dog star appearances. Bob’s Lassie and Jon Provost both appeared in support of sensible dog legislation in Los Angeles in 2007. The original Lassie was a dog named Pal. Pal reportedly became Rudd’s as payment for a debt after his original owner could not break him from barking or chasing motorcycles. Pal played the role of Lassie in Lassie Come Home as well as the first episode of the Lassie series broadcast (his offspring played all the subsequent episode roles). Pal was an approximate 3-year old when the first episode played in 1943 and he died in 1958 at ages reported as 18 or 19. Collies normally have a life span of 14-16 years. The point of mentioning Pal’s outlier longevity is to underscore the fact that animals in entertainment generally have a more monitored life because their ability to perform represents an enormous investment of time, care and training, and their “retirement” years do not diminish the animal-owner bond created during their training and performance years. This is true for nearly all animals in entertainment, not just the superstars. In Lassie’s case, Rudd Weatherwax and Pal were a team of phenomenal performance capacity who set the standard for trainer-animal possibilities for years to come. Cats: they’re quieter, sneakier than dogs; they don’t chase cars or bark up the mailman and they don’t necessarily give the impression that they need any interaction with their owners. But they can perform, and do so, like Morris the Cat in TV ads, in movies like That Darn Cat and all over the Internet. 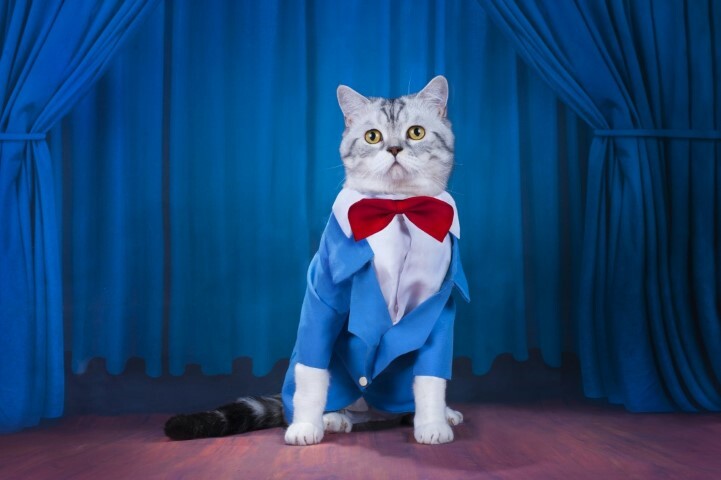 Granted, most cat performances are private exhibitions at home with their owners, but they too have agents, trainers and handlers for all kinds of media appearances. There are even cat festivals that celebrate their thespian capacities. The New Orleans Cat Art & Film Festival and the Walker Art Center Internet Cat Video Festival are two internationally attended events that celebrate the performance wonders of cats. Morris the cat in advertisements and the movies That Darn Cat, Rhubarb, The Cat from Outer Space and the TV series Must Love Cats yield ample evidence of cat talent. The star of Rhubarb, an American Shorthair male cat named Orangey, also appeared in Breakfast at Tiffanys and The Diary of Anne Frank and won two PATSY Awards (for Picture Animal Top Star of the Year). Orangey was a storied performer that could stick around the set for hours without getting restless, but was also famous for scratching and biting actors and disappearing for hours at a time after some scenes, forcing the set to shut down until he could be found. Morris was also a PATSY award winner, a cat discovered at a shelter in 1968 by Bob Martwick, who named him “Lucky” because he was hours away from euthanasia. Martwick was an animal fancier and an ad man who turned Morris into an advertising, movie and media phenomenon, reigning from 1969 to the current day (with 3 Morris successors) in TV, movie and public appearances. Does your cat have what it takes to become a star? Agents in geographic proximity to movie headquarters and ad houses are constantly in the hunt for talent, but most acting candidates are found close to the businesses that ultimately use them, primarily because animal talent is also, 99% of the time, a household member and generally not available for extended travel or time spent away from home. The original Morris was from Chicago; the current Morris, for example, is in Los Angeles living with his companion and handler Rose Ordile, who is also his official trainer. Flying stars? To put birds in some kind of perspective, one of the highest profile animal trainers in Hollywood over his life span was Ray Berwick, who was born in Texas in 1914, started in vaudeville and circus training, learned his trade thoroughly, broke into Hollywood animal talent training in 1962 and over the course of the next 28 years trained over 250,000 animals for the entertainment industry. Among his animals were the birds of Alfred Hitchcock’s famous terrifying The Birds movie (300 crows). He trained seagulls, Baretta’s cockatoo, Fred, and myriad other feathered talent, along with other animals. The point should be taken that if you can train crows or seagulls to fly free, perform specific acts and then return, you should be able to train nearly anything with feathers. 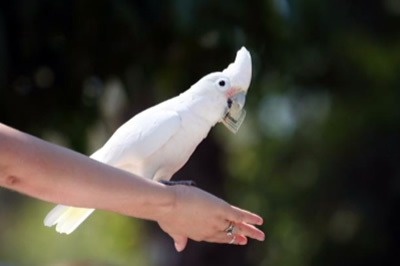 Training birds is, at its core, basically the same as training any animal: create conditions that make the desired outcome a rewarding activity for the animal. Repeat the exercise and reinforce the reward. Repeat the exercise and introduce distractions that are ignored in favor of completion of the activity and earning the reward. Early and consistent are also core elements that apply to creating a bird that performs well. Training for falconry is desirable to start as early as imprinting (while the newly-hatched is still down-covered). Whether it’s racing pigeons, falcons, cockatoos, budgies, parrots or parakeets, nearly all bird training is based on patience, an ability to identify desired responses, and creating circumstances that favor, in the bird’s view, the desired result, with a reward for completion of the specific feat being taught. Circuses: Since the first circuses appeared in America in 1793, the circus has played a significant role in the growth of American society and popular culture, according to the University of Virginia’s Institute for Advanced Technology in the Humanities. The earliest American circuses showcased horsemanship and physical endurance, and were designed to appeal to rough-and-tumble working people rather than the upper classes. Traveling menageries had been common in Great Britain, and as the circus gained popularity in America, the two types of shows were combined into a single and much grander attraction. In the hands of pioneer promoter and showman P.T. Barnum, the circus had become “the greatest show on earth” by the late 1870’s. Today’s circuses have come a long way from those early days. Modern circuses do much more than entertain; they educate and practice responsible conservation. The Ringling Brothers and Barnum and Bailey Circus, for example, has developed a $5 million, 200-acre state-of-the-art conservation center for the Asian elephant, the star of its traveling show. Located in central Florida, the center was established in 1995 for the study, breeding and preservation of these rare and amazing animals. Knowledge gained at the center is shared with the worldwide scientific community to help inform international conservation policies and programs. 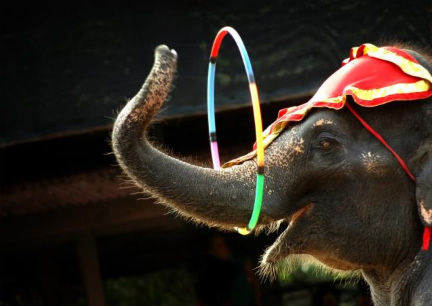 Elephants and other circus animals are trained using positive reinforcement methods. The animals learn routines that are based on their natural behaviors as observed during play. They are rewarded for performing properly with food treats and words of praise. Not everyone appreciates the circus, though. For the last several decades activist groups like People for the Ethical Treatment of Animals (PETA), the Humane Society of the United States (HSUS) and the American Society for the Prevention of Cruelty (ASPCA) have campaigned to end performing animal acts, especially ones involving elephants. Despite the media and legislative success of these anti-circus campaigns, HSUS and the ASPCA paid nearly $25 million to settle a Racketeering Influenced Corporation Organization Act (RICO) lawsuit over their allegations against Ringling Bros.
Zoos and aquariums are among our most important resources for wildlife conservation and education. From elephants and large cats to sharks and snakes, zoos and aquariums are largely responsible for public awareness of, and response to, species in crisis. 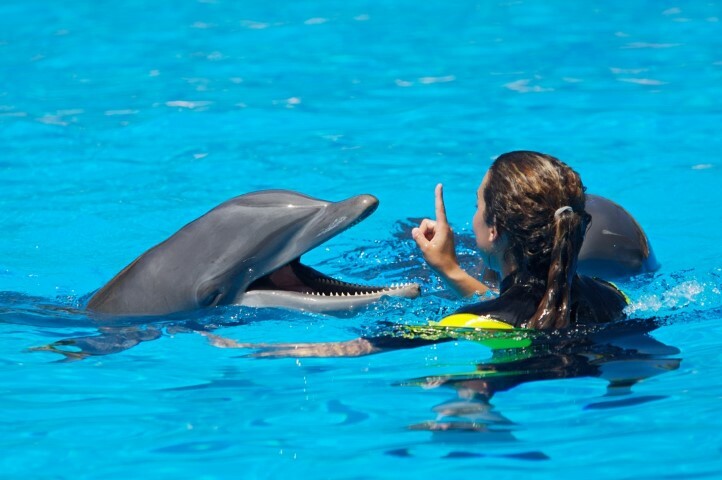 For example, it was not until people were exposed to dolphins in aquatic entertainment centers that public support for dolphin conservation resulted in international policy changes to address threats to the species. Zoo breeding programs have made it possible to substantially increase world populations of animals once considered endangered. Research and data collected in zoos has contributed greatly to our understanding of animal behavior in the wild. 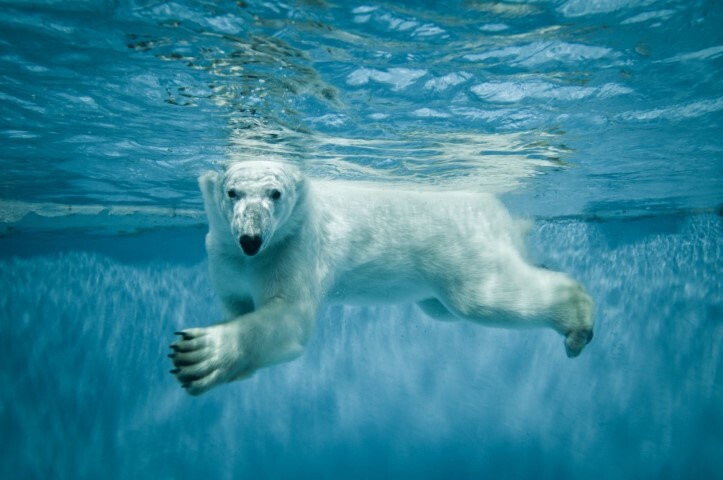 Zoos and aquariums have a far-reaching impact on worldwide conservation efforts because they help focus public attention on conservation issues. A 2007 study conducted by the Association of Zoos and Aquariums (AZA) and funded by the National Science Foundation found that visiting zoos and aquariums prompts individuals to see themselves as part of the solution to environmental and conservation problems. Visitors to these facilities also report feeling more connected to nature after their zoo and aquarium experiences. These feelings have been reinforced by the shift from “hard” habitats, usually cages or pens, to “soft” habitats for wild animals. Soft habitats are those that replicate the natural environment in which a particular animal thrives. Larger spaces, more grass, trees, rocks and water, and “play” features are designed to provide entertainment and mental stimulation for the animals, reducing stress and contributing to better health, longer lifespans and improved reproduction. In our increasingly urbanized world, zoos and aquariums enable us to experience animals we wouldn’t encounter otherwise, in an environment that helps us understand how they act and interact in the wild. Without these facilities, we would have very few opportunities to experience the wonders of the wild animal world. Other animals as trained stars include Keiko, the world famous orca (killer whale) in Free Willy (Keiko was also a flying whale in his lifetime – airlifted from his Mexico performing center to Newport Oregon for rehabilitation and preparation for reintroduction to a wild existence and then flown to Iceland…all first class, of course!) ; Asta, Nick Charles’ dog in The Thin Man; King Charles, the horse who played The Pie, in National Velvet (King Charles was a grandson of the famed racehorse Man O’War); and Molly, the mule who played the role of Francis in the hilarious seven “Francis the Talking Mule” movies and who won the first PATSY award (Les Hilton, Francis’ trainer also trained a horse named Bamboo Harvester, who played in the Mr. Ed TV series). Animals trained for entertainment run the gamut of animals on the planet, ranging from just plain critters to cattle, wolves, birds, exotics, to lions and tigers and bears. Name it and it can be trained for the movies; an Internet search of movie animal trainers turns up not only the trainers and their facilities themselves, but also opportunities for schooling, apprenticing or getting into the animal training profession. Show Dogs: Purebred dogs might be described as the “stars” of the pet world. Responsible dog breeders maintain the integrity and unique characteristics of specific breeds so that dog owners can select a dog of the size, coat type, temperament, appearance and character to fit their families and lifestyles. These individuals, sometimes called hobby breeders or purebred dog fanciers, are true dog lovers. In most cases, their lives revolve around the needs of their dogs. To showcase the best of each canine breed, several national organizations host dog shows. The American Kennel Club (AKC) and the United Kennel Club (UKC) are leading sponsors of national dog shows. These two organizations also serve as official registries for purebred dogs so that the bloodlines of these prized animals can be fully documented. They are the nation’s leading authorities on purebred dogs, and also advocate for legislation to protect the health and welfare of dogs as well as the rights of dog owners and breeders. 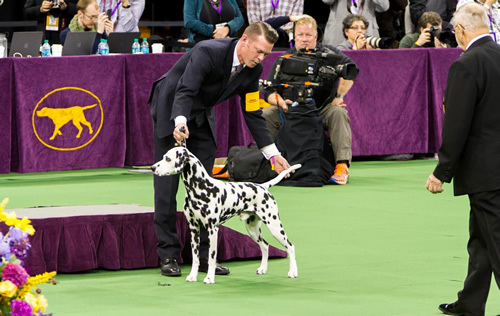 Breed clubs—groups of people that specialize in a particular breed of dog—often hold local or specialty shows to highlight the unique qualities and abilities of that breed. There are clubs representing virtually every breed of dog known; their specialized knowledge makes these organizations gold mines of information for prospective pet owners looking to find a particular kind of dog. For a list of breed clubs, please visit the Pet Central section of this website. For more information about dog breeding as a career, please visit the Animal Careers section of this website. Dog Racing: among the hundreds of dog breeds, one breed has been known since ancient times for its speed, grace and temperament—the greyhound. Greyhounds are the only canine breed mentioned in the Bible and depicted in the drawings in Egyptian tombs. For centuries, the breeding and racing of greyhounds were activities reserved for royalty. Modern greyhound racing occurs at tracks where pari-mutuel betting is authorized. The tracks are tightly regulated by state and local governments. 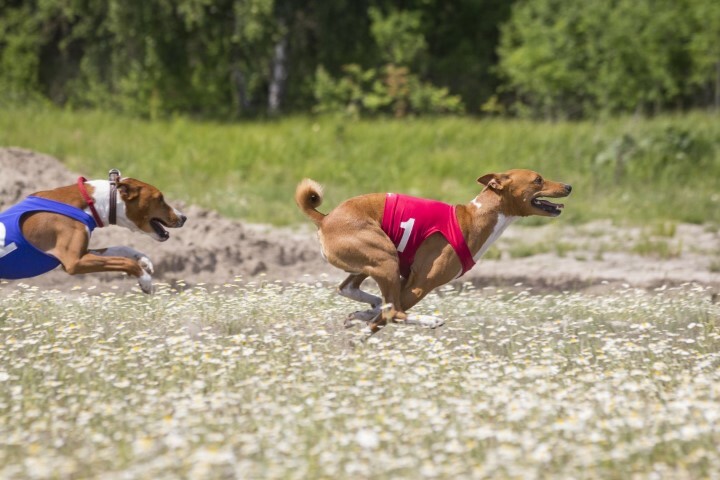 Government and industry regulations also ensure proper treatment for canine racers. Greyhound racing has established comprehensive programs to ensure the health, welfare and safety of greyhounds at every stage of their lives. Administered by the American Greyhound Council, these programs range from farm and kennel inspections to greyhound health research, industry education and greyhound adoption. On greyhound farms, the National Greyhound Association, the official greyhound registry of the U.S., enforces standards for greyhound care. The standards cover everything from food and nutrition to housing, exercise, health management and sanitation, and kennel staffing. At the track level, the American Greyhound Track Operators Association has adopted a code of standards and principles to guide member tracks. The code requires that tracks enforce rules for the proper care of racers housed at their facilities, and document the movement of all greyhounds when they return to the farm or are adopted. Today more than 90 percent of all registered greyhounds are adopted or returned to the farm as pets or breeders when they retire. Show Horses: in horse shows, people and horses work together to demonstrate the animal’s training, responsiveness and obedience, and to showcase particular physical characteristics. In these competitions, the horses are judged on their physical conformance to established breed standards, and on their ability to perform specific movements and tasks in cooperation with their human partners. These demonstrations of human-animal communication illustrate just how close the bond between two-legged and four-legged creatures can be. The American Horse Council reports that there are over two million horse owners in the nation, and nearly half a million of them are involved in show competition. The most recent study indicates that the show horse industry alone accounts for $39.5 billion in direct and indirect economic impact, and a total of more than 380,000 jobs. According to a publication of the Alabama Cooperative Extension System, horses compete in many different kinds of shows, ranging from dressage to cattle events. Dressage is fancy riding often referred to as “equine ballet,” a spectacle made famous by the world-renowned Lipizzaner Stallions. 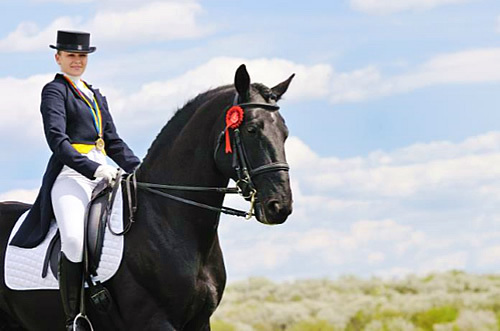 In dressage, the horse and rider are judged on how well and smoothly they perform a series of prescribed movements. Horse Racing: horse racing, known throughout history as “the sport of kings,” has existed in virtually every major civilization across the globe, dating as far back as 4500 BC, according to some sources. From ancient Rome and the Middle East to China, Asia and the British Isles, royalty has always been attracted to the breeding and racing of beautiful horses. Horses bred in the British royal stables have been big winners in major national races for more than 200 years. Queen Elizabeth II, the current British monarch, is a long-time horse lover; she rides frequently and loves attending races in the United Kingdom and elsewhere. Modern horse racing in the U.S. is associated with pari-mutuel betting at 124 tracks around the country, drawing millions of fans and about $15 billion in wagers each year. Nationally, the horse racing industry contributes about $26.1 billion to the gross domestic product (GDP), and employs more than 383,000 people. Most U.S. tracks feature thoroughbred racing. Thoroughbreds are horses of Arabian ancestry that have been bred to run considerable distances at fast speeds—up to 40 miles per hour—while carrying weight. Their beauty, grace and stamina make them wonders to watch. A variety of organizations serve nearly every aspect of horse racing. The Horsemen’s Benevolent Protective Association and state thoroughbred associations advocate on behalf of horse owners and breeders. The National Thoroughbred Racing Association serves as the promotional arm of the horse racing industry. The Jockey Club is the official registry for racing thoroughbreds, and also plays an important role in programs to ensure the health, welfare and safety of horses and riders in the sport, including an annual Horse Welfare Summit held at Keeneland Racetrack in Lexington, Kentucky. Participants in the summit have developed recommendations on a variety of topics ranging from track surfaces and injury prevention to equine health management, stable employee training and industry education. Horse racing also has undertaken an initiative to find second careers for retired race horses. The Unwanted Horse Coalition works to find homes for retired race horses as pets, pasture mates, police horses, or therapeutic partners. Rodeos are events where various competitive activities test a horse’s ability to work with its rider in managing the movement of cattle. The rodeo started out as informal contests between local groups of cowboys to determine the local champion of ranch skills. Today’s rodeos attract millions of fans, and offer high-dollar prizes to the winners. 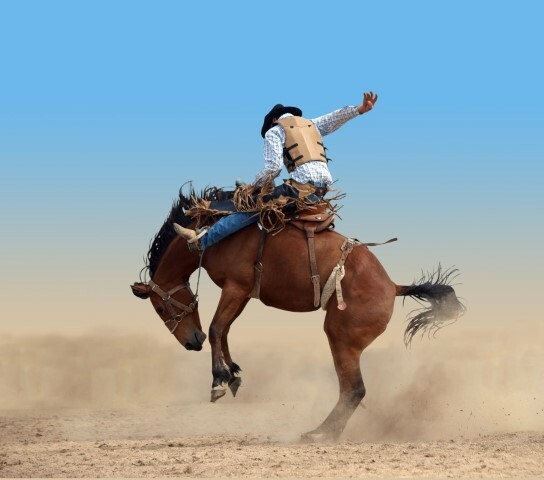 Depending on the type of competition, mounted rodeo contestants might be expected to separate a particular cow from the herd, track a running calf or steer, or move part of a herd of cattle from one area to another. Bull and bronco riding and calf roping are among the most popular rodeo events. Over the years, rodeo procedures have been updated to ensure the welfare and safety of the animals involved. The Professional Rodeo Cowboys Association, the governing body for rodeos, has established standards for the humane care and treatment of rodeo horses and other animals. Rodeo officials work closely with the veterinary community to keep these policies current and enforce proper procedures for rodeo animal handling. Horses, oxen, water buffalo, camels, elephants, dogs and other species have been used since ancient times to move people and goods from one place to another, whether for pleasure or work, and to accomplish heavy hauling or speedy delivery that people couldn’t manage alone. Draft and pack horses, donkeys, burros and mules were vital to the settlement of North America. Surveyors, explorers and traders used them singly or in pack trains to penetrate the vast reaches of undeveloped wilderness from coast to coast. Draft horses are large, well-muscled animals bred for their strength, endurance and placid disposition. They hauled people and freight, pulled plows and wagons in crop fields, helped uproot trees, moved building materials and allowed farmers to clear the land for their homes and communities. Automobiles and tractors eventually made draft horses unnecessary for transportation and farming, but the draft breeds have survived and flourished. Amish and other religious communities continue to use horses instead of modern technology for cultural reasons. The tourism industry has triggered a resurgence of interest in draft horses for horse-drawn carriages and trolleys. Famous draft horses like the Budweiser Clydesdales appear as “special guests” in parades and fairs, and in equine competitions. Many law enforcement agencies use draft horses for their mounted police units. Donkeys are similar to horses, but have longer ears, straighter necks and make very different vocal sounds. Used primarily for riding, hauling and farm work, donkeys are gentle creatures, and usually move more slowly than horses, making them especially useful to transport children. They adapt well under saddle and harness. Donkeys, also classed as asses and burros, are confusing terms to those not familiar with donkeys. They all derive from an African origin; for an explanation of burros, donkeys and asses, investigate a naturalist contribution. Mules, the offspring of male donkeys and female horses, were bred as work animals, and are still used today for riding, work and even competitive shows. The results from crosses between male horses and female donkeys are also mules, but called hinnies. Because they are hybrids, mules resemble horses in some ways and donkeys in others. Mules and hinnies are sterile and cannot reproduce; they are only produced by crosses between horses and donkeys. 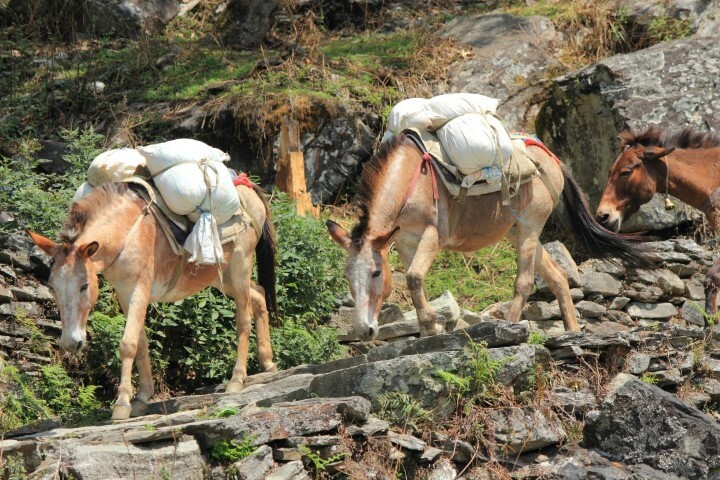 While some say that mules are unusually stubborn, others say it’s just a matter of self-preservation—mules sense danger and are not inclined to put themselves at risk. 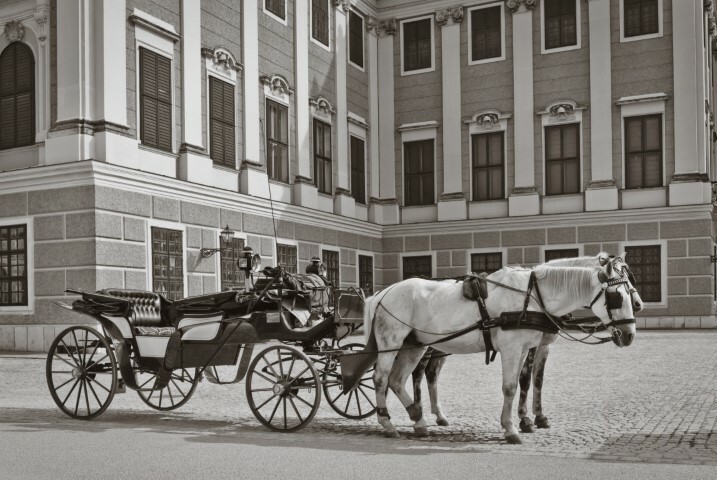 Carriage Horses: for centuries, horse-drawn carriages were the primary mode of transportation for people and cargo. With the advent of trains, automobiles and planes, however, horse-drawn carriages have become a nostalgic attraction for tourists visiting many American cities. From Portland to St. Petersburg, from Duluth to Dallas, carriage rides are among the most popular attractions for people of all ages. Nowhere are horse carriages more popular than New York City, which has offered carriage rides since the 1880’s. According to the New York City Carriage Industry, most carriage horses are breeds specifically bred for pulling carriages or plows. Like New York, most cities have adopted rules and regulations to govern the carriage trade. Carriage horse season is about eight months long. Horses and drivers typically work 4-5 days a week, about 7 hours a day, with 15 minutes of rest per hour worked. These sturdy horses are specially trained to pull carriages in city traffic. Horses that display apprehensive or fearful behavior are disqualified from service. The Carriage Association of America, a national organization representing the trade, offers a driver proficiency program to promote safe driving and excellence in horsemanship skills. The training also teaches drivers how to properly equip and harness the horse, recognize and treat common horse ailments, identify a worn shoe, perform basic first aid, prepare special feed formulations to meet the animal’s needs, and how to cool, groom and care for the horse after a work session. Recreational and Therapeutic Horse Riding: The American Horse Council reports that recreational horse riding is a very popular activity, with about 30 million people riding nearly four million horses each year. Another 435,000 hold jobs related to recreational riding. Most horses are bred, trained, maintained and ridden in rural areas, resulting in a substantial economic benefit to those rural communities. 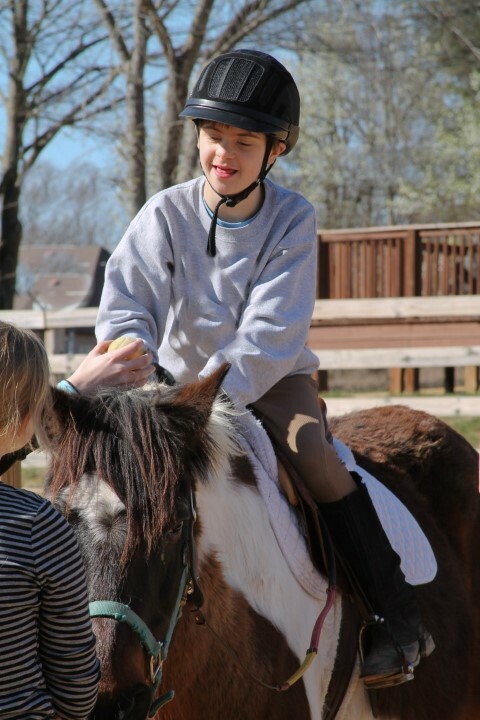 Recreational riding has proven therapeutic benefits for individuals with a wide range of physical, mental and emotional disabilities. For people with physical limitations, riding a horse can improve flexibility, balance and muscle strength, while providing mobility they might not have otherwise. For those with mental or emotional problems, the unique relationship that develops between horse and rider can lead to increased confidence, patience, self-esteem and emotional expression. Elephants have been part of life in Asia and Africa for thousands of years. As far back as 2500 BC, elephants were used in Persia, China, India and Egypt for transport and heavy labor, as well as military purposes. The Carthaginian general Hannibal elephants to move supplies and 50,000 troops across the Alps into Northern Italy two centuries before the birth of Christ. Elephants were also used for ritual purposes and competitive games, practices that still continue today in some areas of the world. Overhunting and the ivory trade threatened the survival of elephants in the past, but more recently, international laws, ivory bans and the creation of protected areas for elephants have removed these pressures. Even so, the elephant population today is about half of what it was forty years ago. In some regions, however, there are more elephants than the habitat can support, especially in populated areas. Conservation efforts now focus on finding new ways for humans and elephants to thrive in coexistence, and preservation efforts assist in the continued study and cultivation of elephant health. Water buffalo, relatives of the familiar North American bison, have played a vital role throughout Asia. Often referred to as “the living tractor of the East,” the water buffalo has been domesticated for over 5,000 years. These mammoth animals are still used for heavy labor and transport of people and goods. Their meat, milk, horns, hides and butterfat continue to be important ingredients for human survival. Camels, known as “the ships of the desert,” were domesticated about 3,000 years ago, and are still used by humans for transport in arid environments in Asia, Africa and the Middle East. They can carry as much as 200 pounds, walk twenty miles a day in the most extreme conditions, and tolerate long periods without food and water. People also utilize camel meat, milk, wool, leather and even dung, which is burned for heat. About 90 percent of the camels alive today are dromedaries, meaning that they have one hump. The hump stores fat for those times when the camel has limited access to food. The more rare Bactrian, or two-humped, camel, can be seen in many zoos and animal preserves. Even dogs have played a vital role in transporting people and goods over the centuries. Sled dogs have been bred and used by Native peoples living in the harsh climates of the polar region for at least 4,000 years, providing transportation, freight hauling, and more recently, mail delivery. Experts believe that human habitation and survival in the Arctic might not have been possible without sled dogs. The Inuit on Canadian ice pack settlements know the impossibility of survival without dogs. Today, sled dogs carry a new generation of explorers like Will Steger and Ann Bancroft to the North and South poles, where they gather vital data about wildlife, environmental conditions and global climate change. Modern sled dog races like the John Beargrease in Minnesota and the Iditarod in Alaska retrace the historic steps of those intrepid early mushers who traversed the frozen wilderness with their faithful, hard-driving dogs in order to bring food, medicine and supplies to the isolated peoples of the north. And hundreds of hobby mushers in Alaska and the “lower 48” avidly support these events. Police dogs have become essential members of the worldwide law enforcement community. These highly trained dogs, usually German Shepherds, Belgian Malinois, bloodhounds and others bred for their breed-specific abilities, start with basic obedience and agility training, and then learn how to search for suspects or missing persons, find lost or discarded evidence, control crowds, apprehend fleeing suspects and protect their handlers from physical attack. Beyond these basic skills, some dogs receive advanced training in specialties such as detection of narcotics, explosives and accelerants, and other prohibited items such as agricultural products. These skills rely on the dog’s exceptional sense of smell, which is somewhere between 1,000 to 10,000 times better than that of humans (human nose receptor space and scent processing brain space is dwarfed by dogs - the upper limits of canine scent discrimination have defied controlled test measuring capacity thus far). Contrary to urban myth, drug-sniffing dogs do not acquire their skills by ingesting illegal substances. They learn to recognize various drug smells when the substances are folded inside a towel that the animal has been using for play. In its eager search for its “toy,” the dog will signal, or “alert,” when the drug scent is detected. Even the U.S. Supreme Court has acknowledged the reliability of trained police dogs in drug detection, ruling in at least two landmark cases that a trained drug dog’s “alert” is sufficient probable cause to justify a search warrant. Explosive-detection dogs (EDD) have become integral to our nation’s homeland security effort. From local police departments to the Federal Bureau of Investigation (FBI) and the Bureau of Alcohol, Tobacco and Firearms (ATF), EDD are a vital resource for detecting and deterring explosive threats. The federal Transportation Security Administration (TSA) employs bomb dogs and their handlers to search transport venues, cargo and luggage. Other federal agencies use the teams to ensure the safety and security of sites where public officials, political leaders or large numbers of people are gathered for special events. In addition, there are numerous private agencies that train explosive detection teams and provide these services under contract to jurisdictions, celebrities, political leaders and others with special security needs. EDD are trained using a reward-based system, where the dog is taught to respond in a specific way (usually sitting) when the odor of an explosive is detected. The dogs learn to recognize many different explosive and accelerant odors. They also learn how to distinguish the target odors even when an attempt has been made to mask them with other scents. A proper response earns a prized reward, such as food or a toy, as well as physical and verbal praise. Training canines to perform these demanding and dangerous law enforcement tasks is as challenging for the police officers as it is for the dogs themselves. Officer and dog must work seamlessly as a team, intuitively recognizing situations where special skills are required. Their relationship is one of constant companionship, mutual trust, dependence and affection. Officers who lose their canine partners in the line of duty commonly experience deep feelings of grief and loss. Police dogs that have died on the job are often honored and remembered by the law enforcement agencies they served. Some police dog websites feature “valor” pages where officers submit photos and stories praising the courage of their canine partners. 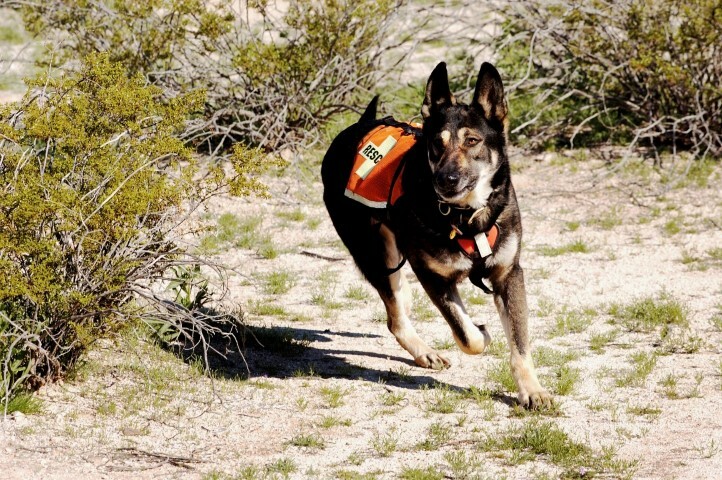 Search and rescue (SAR) dogs are invaluable assets in law enforcement and disaster response. These highly trained canines may be German Shepherds, Dobermans, Rottweilers, Golden Retrievers, Giant Schnauzers and Labradors, among other breeds, but they share certain important characteristics. SAR dogs must be trainable, agile, have high endurance, and get along well with other dogs and people. SAR dogs are trained to locate the scent of any human, alive or dead, in a particular search area. Many receive additional training in trailing and scent discrimination. Working with their human handlers, the dogs search designated areas in a systematic way. They can work day or night, and are especially useful in situations where human sight is limited by darkness, debris, or immersion in water. Most SAR dogs begin training as young puppies, but occasionally older dogs can be trained successfully. They must be trained not to bite except on command, and must be nonaggressive during searches and when finding a person. For this reason, not all police canines can be trained as SAR dogs. Today there are more than 150 SAR canine units around the country, and new units are continually being formed. 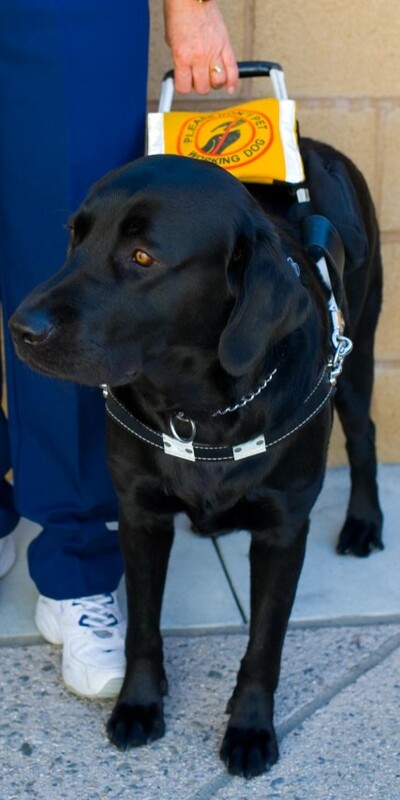 The Americans with Disabilities Act (ADA) defines a service animal as “any guide dog, signal dog or other animal individually trained to do work or perform tasks for the benefit of an individual with a disability.” Service animals can perform a wide array of tasks once they have been trained to do so. They are not considered pets under federal rules. For example, a deaf or hearing-impaired person might use a specially trained cat to alert him to sounds in his environment. An individual with limited mobility might use a dog or a service monkey to retrieve small items from a satchel on the floor. A person who is blind might use a guide dog to help her travel to and from work and move about her workplace. Dogs were first used as service animals in the early 1900s in Germany, where they were trained to assist World War I veterans who had suffered vision loss. The practice was brought to the United States by an American dog trainer living in Switzerland who toured one of the training facilities and published an article, “The Seeing Eye,” describing the program. From that point forward, guide dogs became known as “seeing eye” dogs. While most service animals are dogs of various breeds, some cats, primates and birds also have been trained to perform certain tasks required to benefit a disabled handler. The most common dog breeds among service animals are Golden Retrievers, Labradors, German Shepherds, and Border Collies. Under federal law, service animals must be allowed, along with their disabled handlers, into all public places and work environments. This is not true of pets, even if they are capable of providing some assistance to their disabled owners. 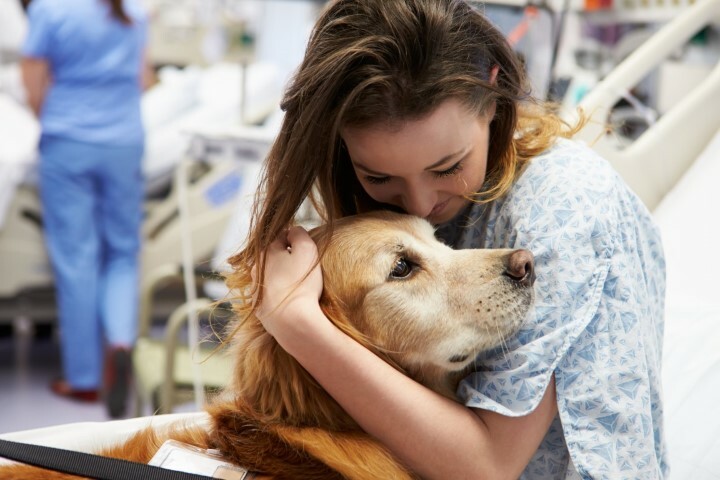 Therapy Animals: Over the past two decades, the health care community has recognized the immense value of animals in helping to improve the physical, social and emotional health of human beings. Therapy animals work with specially trained professionals, paraprofessionals and volunteers as part of a formalized treatment program. In cases where physical therapy is needed, the therapist might ask a volunteer to bring her cat to a rehabilitation center, where a stroke patient is asked to perform various tasks related to the care of the cat, such as fastening clasps on leashes and collars, opening food containers, brushing or grooming the animal, or participating in play. The goal of the process is to improve the patient’s motor skills. Where mental health issues are present, the therapist might include daily or periodic interaction with a dog or other animal as a way of easing a patient’s feelings of depression and loneliness. Even cognitive, or thinking, skills can be improved through structured interaction with animals. Teaching the steps involved in caring for a dog, cat or fish can help improve memory and the ability to perform routine tasks in the proper sequence. Animal-assisted therapy programs are different from general activities that include animals in a health care setting. To be an actual “therapy” animal, the animal’s interaction with each individual patient is part of the treatment process, designed to accomplish a specific outcome or treatment goal, and managed under the supervision of a qualified professional. Animal-assisted activities are common in health care facilities but are not tailored to meet specific therapeutic goals for individual patients. These activities usually involve dogs, cats or other pets, brought to a health care facility for large-group visits with no specific goal other than the general enjoyment of the resident population.